Just when you thought the NoDo update drama was over, we’re hearing that might not be the case for a group of Samsung Focus owners. 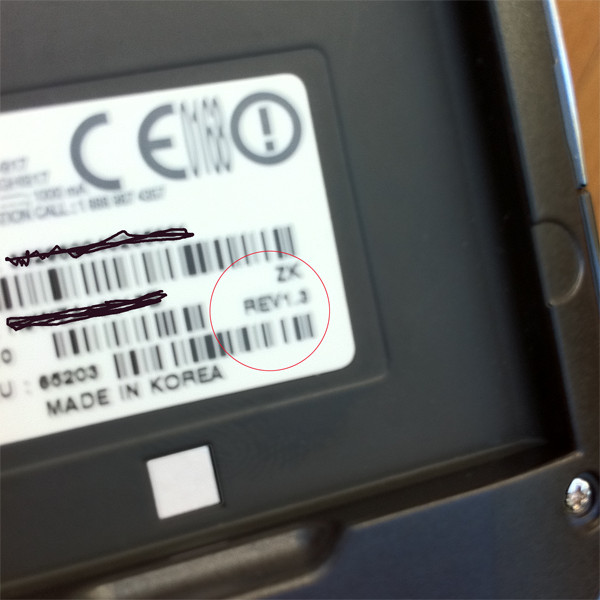 Microsoft’s support forum indicates that there are two versions of Samsung Focus hardware – rev.1.3 and rev 1.4. AT&T has approved the update for the Samsung Focus, but those users with Rev 1.4 hardware are not receiving the update. If you pull the back cover and battery, you can check your hardware build. As you can see here, this is rev 1.3 and I’ve had the update for weeks. This NoDo issue isn’t specific to just the Focus. Updates to the Samsung Omnia 7 devices in Europe are also being delayed due to a technical issue. We’re into May now. Here in the US, the HTC Surround has not yet received the update and some Samsung Focus are still waiting. It’s clear this process is still not very smooth. One can only hope the updates get delivered soon enough and things get better with Mango. If they are able to figure out why there was so much trouble NoDo’s delivery, perhaps Microsoft should consider a post-Nodo, pre-Mango update. It would put customers at ease if they were able to illustrate their ability to deliver an update without issue. I am apart of this little group of Samsung Focus users because I purchased my Focus in April of this year. I hope they don’t forget about us and fix this issue soon. Please give us updates and let us know when they plan on fixing this. Thanks. Note that I have REV 1.3 though, not 1.4.